You can easily access a number of folders the Mac uses including the Applications folder, Documents folder, Downloads folder, and more. To see and select which one of the folders you want to ope, go the ‘Go’ menu in the Menu Bar. You do have to be in the FInder to see this menu. Once you click on ‘Go,’ you’ll see all the folders you have access too from this menu. Just select the folder you want to open top open it in the Finder. When you have a Finder window open, on the left of the window is a sidebar. In this sidebar will be a number of folders. Just select the folder you want to open, and your window will open to that folder. When you are looking at your folders in a Finder window, you just double click on it to open it. When looking at your folders in list view, you can also click on the triangle to the left of the folder name to open the folder. In column view, when you select a folder, the contents of that folder will be shown in the next column. In this lesson for macOS Mojave, I look at how you work with Finder Windows on the Mac. Finder windows are how you explore your Mac, as well as organize all your files and folders. It’s a crucial part of working with your Mac. If you do not have any Finder windows open, when you click on the Finder in the Dock, a new Finder window will open. If there are already windows open, it will bring one of them forward. If you want to create a new Finder window, you go up to File in the Menu Bar and select New Finder Window. A Finder window comprises of a sidebar on the left. This sidebar gives you quick access to various folders, iCloud Drive, different network locations, and tags. We look at these various items in detail throughout the tutorial including how you can customize the sidebar. But for now, just think of it as an easy way to get to various folders. A Finder window also has a Toolbar. 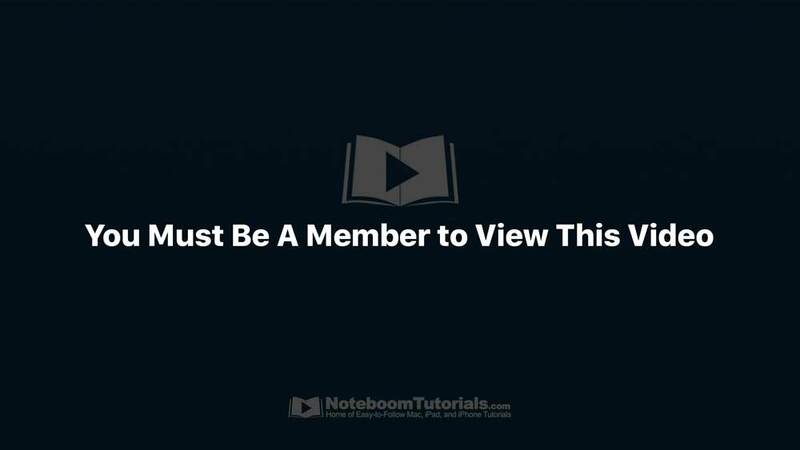 This is located across the top of the window and gives you quick access to various tools including different ways to view your files and folders, access to tasks, and more. This is also where you click-and-drag to move a window. Finder windows are easily resizable. To resize a window, just drag any one of the edges or corners of the window you want to resize. When you get to the edge, you will see the cursor change into an arrow. Once it changes, you click-and-drag to resize the window. You can open multiple Finder windows. Just go to File in the Menu Bar and select ‘New Finder Window.’ When you do this, a new window will open. You can click on any folder in the sidebar to open that specific window to that folder or location. The frontmost window will have a slightly darker toolbar and the dots to close, minimize, and open in full-screen will have color. These dots are located in the upper left corner of the window. To close, minimize, or open a window in full-screen, you click on one of the three dots in the upper left corner of a window. Red Dot – the red dot closes the window. Yellow Dot – the yellow dot minimizes the window. When you minimize it, it moves the window to the Dock. Once it’s in the dock, you can click on it to ‘open’ it again. Green Dot – The green dot opens the window in full screen. Once it is in full screen, it is no longer a ‘window.’ Also, you will see the Menu Bar and Dock hide. To show them again, just bring your cursor to the top or bottom of your display. To bring it back to a standard window, move your cursor to the top right of your display and click on the green dot again. If you have multiple windows open, you can select any one of them by clicking on the window. When you do this, it brings it to the front. You can also go to Windows in the Menu Bar and select the window you want to bring forward. 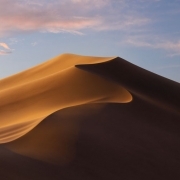 In this lesson for macOS Mojave on the Mac, I look at Application Menus. Application menus not only tell you which app you are currently in but they also give you access to specific features for the active app. If you ever want to see which is the active app, the app that is frontmost, just look at the left side of the Menu Bar. The application name will show you which app is front most. Also, you will see menu items specific to that app. Just go to the right of the Application name to see specific menus for that app. A few of these menus are consistent across multiple apps, including File and Edit, but under each menu name, they will have specific features for the app. Applications: This is where all your applications are stored. If you install a new application, it will be installed in this folder. Nothing else should be stored in this folder. Library and System: These next two folders are used by macOS and should not be touched. Users: This last folder contains all the user files and folders including your documents and downloads. Your computer can have multiple users, so when you open the Users folder, you will see all your users. In most cases, it will just be a single user. When you open the users’ folder, you will see the documents, downloads, music, movies, and other folders. This is where all the users’ files and folders are stored.